Enables your smartphone to view 3D content without glasses! Features: Designed to fit on both the front and back of the device, transparent PC back offers access to the touchscreen and shock-resistant TPU offers full protection to the device. Please do not use a glass protector with the Snap3D. ✅ WATCH 3D WITHOUT 3D GLASSES: This Screen Protector doubles as a 3D viewing screen that allows you to view 3D movies, Youtube Videos and Games. ✅ NEVER LOSE YOUR 3D GLASSES: Welcome to the future. 3D Glasses are now a thing of the past thanks to the Snap 3D Viewer. Our proprietary technology tracks user's viewing position and stabilizes the screen accordingly to enable real 3D viewing experiences without glasses. 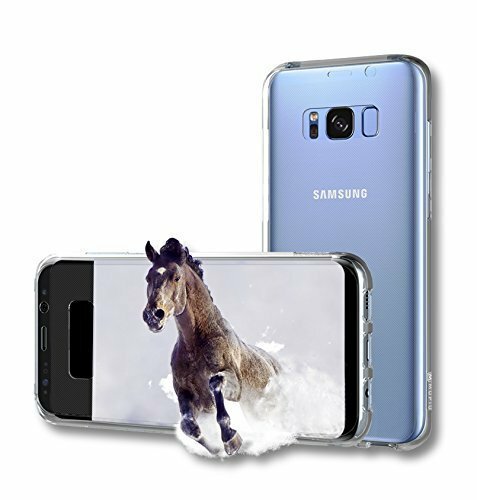 ✅ WE'VE GOT YOU COVERED: Compatible with Samsung Note 8, Samsung Galaxy S8, Samsung Galaxy S8 Plus, Samsung Galaxy S9, Samsung Galaxy S9 Plus iPhone 6, iPhone 6 Plus, iPhone 7, iPhone 7 Plus, iPhone 8, iPhone 8 Plus and iPhone X. ** Please make sure to select the correct model for your phone! ✅ SCREEN PROTECTOR: Acts as a fully functional Screen Protector offering protection from keys, scratches, falls, cracks, tools and more. ✅ GUARANTEE: If you aren't experiencing a true 3D experience, we will buy this product back from you - no questions asked. Lifetime Guarantee. Love it - or your money back. We are THAT confident in this product. If you have any questions about this product by GVBGEAR, contact us by completing and submitting the form below. If you are looking for a specif part number, please include it with your message.